I recently had the pleasure of a sewing date with Miss Bethy, the daughter & granddaughter of two good friends of mine. She had been given her own sewing machine for Christmas & is keen to sew as often as she can. 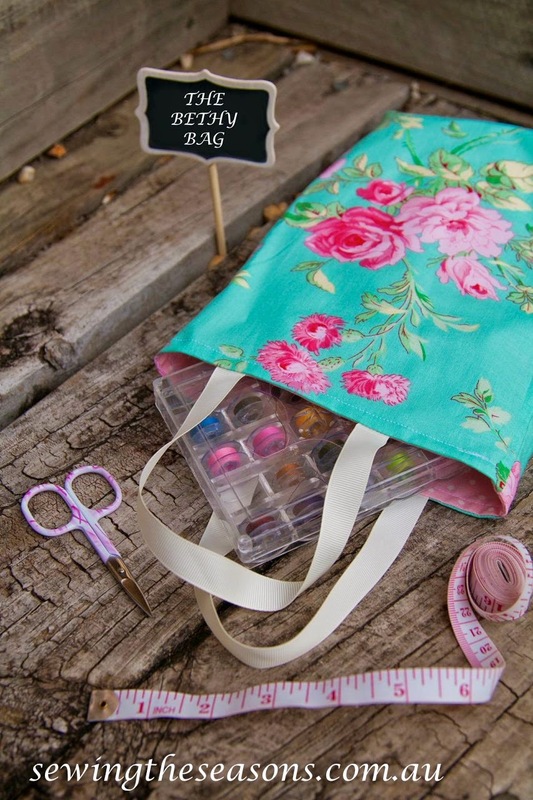 After checking in with her mum we decided a simple small carry bag for sewing projects or to keep treasures in would be ideal & her favourite colours are the aqua/blues with just a hint of pink. 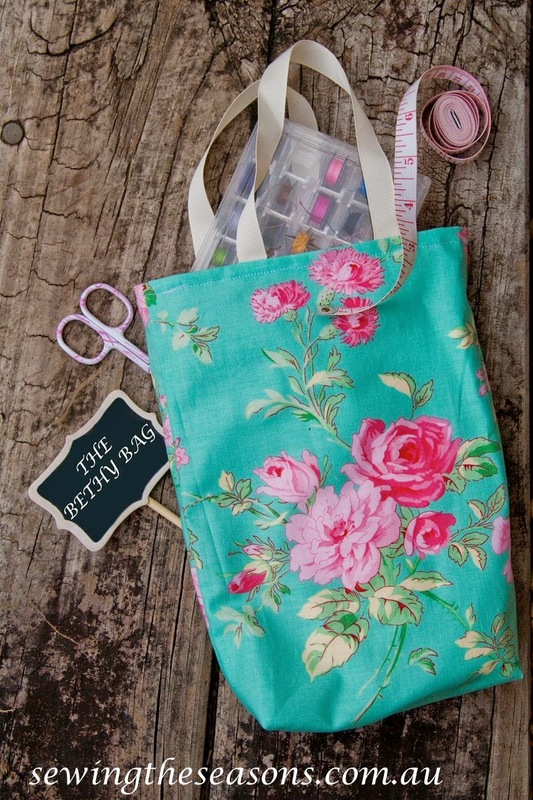 So I set about designing our first sewing project & in her honour, named the bag "The Bethy Bag." On the day, I had a selection of fabric & ribbons for her to choose from, she made excellent choices. 2. Cut 2 pieces for outer bag & 2 pieces for bag lining 9" across x 12" down. 4. Mark centre point at the top of one lining piece. 6. Press seam towards the lining. 7. Open out and with right sides together, pin bag & lining pieces together (outer bag to outer bag, lining to lining). 8. Stitch down each side seam and across bottom of outer bag piece. Stitch across bottom of lining piece, leaving about 3" gap in the centre of base for turn through. 9. Make box corners. Mark corners 1" in from each seam. Cut out the 4 corner pieces. 10. Pinch corners together, matching side seams. Stitch across corners with 1/4" seam. For added strength, stitch this seam twice. 11. Turn bag through the gap. Take a moment to fully push out points of box corners. Press bag if needed. 12. Close gap at base of lining either by hand using a ladder stitch or close to folded edge by machine. 13. Top stitch round the top of the bag. 14. Cut 2 x 12" ribbon for handles. Attach handles 2 1/2" in from each side seam. Fold under ends of ribbon about 3/4" and pin about 1" of each end of handle to the bag. Secure with machine round the edge of ribbon. 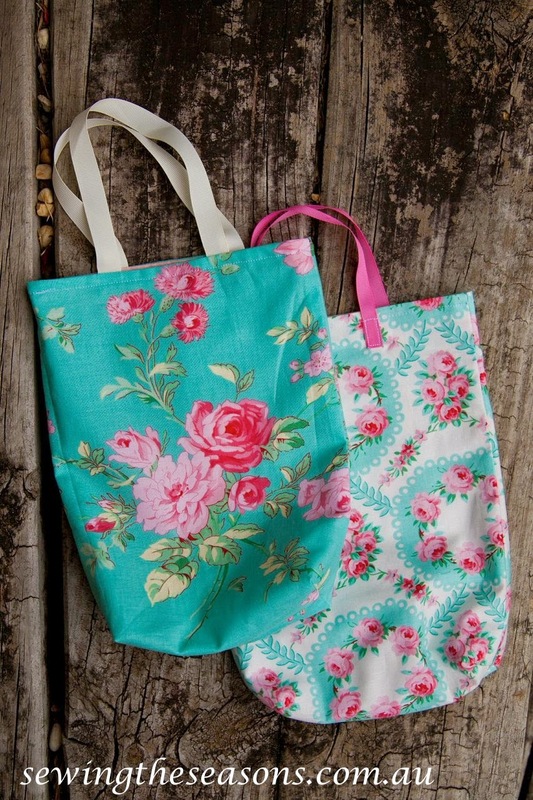 The Bethy Bag is ready for use. What I haven't told you yet is that Miss Bethy is only 6! 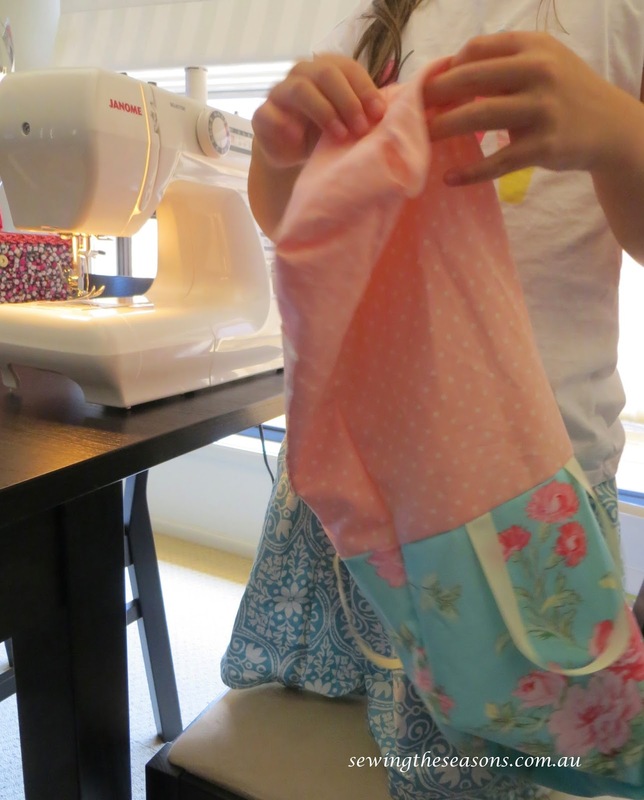 Apart from using the rotary cutter & one of the pinning steps, Miss Bethy made the entire bag herself, including using the iron. I see a bright sewing future for her. Thanks too, to Bethy's dad for the photos of Miss Bethy's finished bag. Oh and we made the bag in just over 1 1/2 hours while 3 yr old Miss H. had her afternoon nap. A final shot from her dad showing our bags together, what an amazing job Miss Bethy has done.